Like many teachers out there, I love to teach justice and equality, but sometimes struggle with how to do it in a developmentally appropriate way. Of course, Dr. Martin Luther King Jr. is the most predominant hero in the struggle for civil rights. 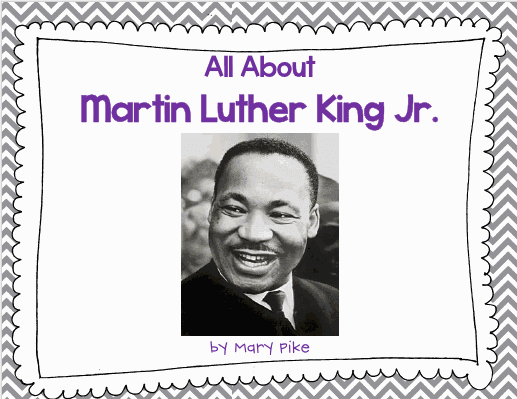 I have taught about Dr. King every year in pre-k and kindergarten since I began teaching, and through trial and error have found a few things that work really well for me. Without further ado, here are a few of my favorite ways to teach the amazing legacy of Dr. Martin Luther King. Listen to the I Have a Dream speech (or at least part of it). What could be better than hearing from Dr. King himself?!? Early exposure to original historical sources can only be a positive thing. I know that it may seem a little intense to show this to children, but I promise you they respond really well to it if you give them enough context. They get SO excited to see and hear Dr. King, and who wouldn't? I still get goosebumps every time I listen to this amazing speech. I always place some of the songs from this AMAZING book at my listening center, along with color photocopies from the text placed in binder sheets because the book is thick and can be a little overwhelming and I don't want it to get damaged. It is a New York Times Bestseller and a Booklist Top 10 Art Books. As one review says, "The poetry is enough. The illustrations are enough. The CD is enough. Together, this book is a treasure of which you cannot get enough." It has everything from Langston Hughes to Tupac and Maya Angelou to Lauryn Hill. The four things I have in my listening center for MLK day are an excerpt of I Have a Dream, The Rosa Parks by Nikki Giovanni, and for fun Books by Eloise Greenfield and Ham 'n Eggs by The Sugarhill Gang. Here is Nikki Giovanni talking about the book. Sorry if I have gone on and on about it... I have had it for six years and cannot get enough! My absolute favorite book to read to the children is Martin's Big Words by Doreen Rappaport. The pictures are gorgeous and it is not too too long for the little ones. I love that the author added read MLK quotes, and the children are always obsessed with the illustrations! 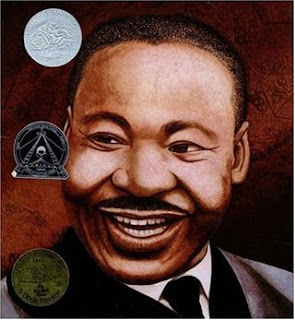 I also like Happy Birthday, Martin Luther King by Jean Marzollo. It is very child friendly, and is a unique take on a biography. I have always wanted to have a birthday party as a culminating activity for learning about Dr. King. How fun would that be? Like I said, it can be difficult to find literature that is appropriate (as in not super long and not too detailed about the assassination). My first year teaching I wrote a book that is a little more child friendly, and ends with a question to prompt text to self connections. I just found it again and jazzed it up a little. Click on the link to download your copy! I would love it if you would follow my blog in return for downloading. Lastly, here are is a great unit that I found with "craftivities" for Black History Month. I am out all next week (I just had ear surgery and the recovery is loooong and awful), so I left two of these great projects for my awesome para and sub to do while I am gone. I can't wait to see how they turn out! If you like these, scoop up the Black History Month Craft Pack by Color Me Kinder like I did! PS. I have no association with Color Me Kinder... 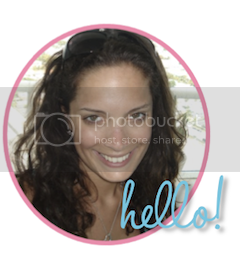 I found her awesome product on TPT and decided to share it. That's what I love about the teacher blogging community... I think we should all share and support each other when we find something great! Just pinned the book for next year. It's fabulous- thanks for sharing! I'm also a new follower! Thanks Amy! I'm so glad to have you!